The Scriptorium was in turmoil. Brother Paul, the precentor in charge, had detected a murmur from the back row and, furious that the rule of silence was being compromised, strode down the aisle just in time to see Brother Jacob tuck something under his robe. When he demanded to see it, Brother Jacob shame-facedly produced a codex, but not one that the antiquarii of this monastery had copied. or of any monastery, for this Psalter was printed. 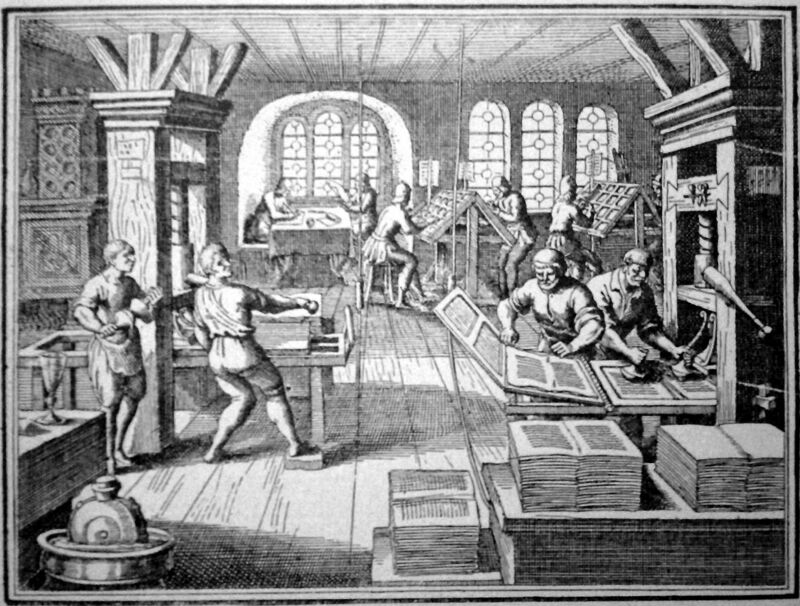 Shocked as much by the sight of the mechanical type as by Brother Jacob’s transgression, Brother Paul so far forgot himself that he too broke the silence, thundering that if books could be produced by fast, cheap, and mechanical means, their value as precious artifacts would be compromised. […] And how would the spread of cheap printed materials affect the culture of the Word, bringing scribbling into every hut and hovel whose occupants had hitherto relied on priests to interpret writing for them?N. Katherin N. Hayles. Electronic Literature: New Horizons for the Literary. Notre Dame: The University of Notre Dame Press, 2008. p. 2. Print. This fictitious sketch from N. Katherine Hayles in Electronic Literature: New Horizons for the Literary evokes the present day tumultuous dynamics surrounding electronic literature and the search by humans to find meaning within it whether with or without the help of religious or other authorities. The setting is a Christian one, hundreds of years ago, but it could just as well be applied to the Jewish context today. Many contemporary Jewish scholars like Rabbi Dr. Abraham Lifshitz in his article “Tefilla Mitokh Siddur Electroni [Praying from an electronic prayer book]” are debating the acceptability of electronic prayer books that can be found on computers, iPods or mobile phones. Lifshitz argues that praying from an electronic siddur (Jewish prayer book) is not an acceptable medium for prayer. He bases his ruling on an injunction that Jews should not hold anything while praying. The person praying may become distracted by the object and by a fear of losing it forcing the person’s attention away from prayer. Lifshitz reasons that electronic devices like iPhones that house electronic siddurs can cause the same lack of concentration during prayer due to incoming messages or calls that might be “lost” during prayer.Yoel Cohen. “Jewish cyber-theology.” Communication Research Trends 31.1 (2012): 4–14, p.10. Print. Imagine a printing press and book arts studio shared by everyone in the world looking to design and craft their own siddur. The Open Siddur Project is building it, online, on the web: a collaborative digital-to-print publishing application where you can make your own siddur, share your work, and adopt, adapt, and redistribute work shared by others. work intended for creative reuse and inclusion in new siddurim and related works of Jewish spiritual practice.Aharon Varady. “Welcome to the Open Siddur Project.” The Open Siddur Project. 11 April 2011. Web. 1 April 2014. <http://opensiddur.org/development/open-siddur/welcome-to-the-open-siddur-project/. One can only imagine how Brother Paul or a Jewish version of him would react to this, in his eyes, further transgression of the culture of the Word, bringing personalized siddurs into every hovel in the world without any rabbinic authorities to control the process. However, the Open Siddur Project finds that this is exactly what is necessary to preserve the culture of the siddur and revitalize Jewish spirituality. The Open Siddur Project wants to provide a platform where creative and inspiring prayer texts can remain in the public domain free for reuse and redistribution. This emphasis on creative production and free distribution of theological texts supports post-rabbinic and post-denominational functions, in this instance that of proactively creating theology instead of passively consuming it, particularly within collaborative arrangements between experts and amateurs. In another of N. Katherine Hayles’ works, How We Think: Digital Media and Contemporary Technogenesis, she presents how, unlike in the time of the introduction of the printing press, worldwide collaborations between expert scholars and expert amateurs are now possible.N. Katherine Hayles. How We Think: Digital Media and Contemporary Technogenesis. Chicago: The University of Chicago Press, 2012. p. 36. Print. She cites Willeke Wendrich, director of the digital Encyclopedia of Egyptology, who often worked with archeologists. In his experience they regularly hoarded artifacts and refused access to them to strengthen their power bases. In contrast to these offline artifacts, Wendrich argues that “[…] database forms and web dissemination mechanisms allow for increased diversity of interpretation and richness of insights, because now the data are freely available to anyone.”ibid, 39. Scholars and amateurs alike can access the databases and disseminate their work on the web, invigorating the possibilities for creative collaborations like the Open Siddur Project in its production of theological texts and new interpretations of prayer. In an interview with Alan Jacobs entitled, “The Potential and Promise of Open-Source Judaism,” one of the founders of The Open Siddur Project, Aharon Varady, describes his project as “[an expression of] open-source religion.” He wants to see the digitization of extant works in the public domain and enlarge the circle of “students, scholars, practitioners, and communities that were already adopting, adapting, and distributing their inspired creativity and scholarship – but were only doing so in the highly restricted channel of copyrighted work.”Aharon Varady quoted by Alan Jacobs. “The Potential and Promise of Open-Source Judaism.” The Atlantic. 12 June 2012. Web. 18 April 2014. <http://www.theatlantic.com/ technology/archive/2012/06/the-potential-and-promise-of-open-source-judaism/258394/>. He sees copyright laws as one of the main barriers to keeping culturally collaborative religious projects like the siddur creative, alive and robust and not technological barriers that are being overcome especially in an age of web dissemination. “By using free-culture and open source licensing, everyone who wants to participate in Judaism (or any religion) as a collaborative and creatively vital culture, can do so.”ibid. Open source licensing safeguards the attribution of creative work until they become part of the Public Domain. This makes a significant difference particularly in the U.S. where copyright laws remain in effect for the life of the creator and another 70 years, dragging out a process that then keeps creative works obscure and ultimately forgotten. The form of open source licensing in conjunction with web dissemination of creative works allows for the collaboration of authorities and amateurs alike in keeping religious and cultural artifacts alive and relevant. To this end, Varady counters dialectics that place religion in a separate sphere from culture, keeping religion uninspired. In Varady’s discourse and communal framing of the Open Siddur Project, he justifies the use of technology for Jewish religion by stating, “We liberate religion when we return it to culture, as a creative and relevant force for helping to shape our individual and collective consciousness […] If its creativity isn’t maintained, its relevance is ceded to other systems to function in its place. or it is ceded to social elements and authorities who might use it to sustain self-serving agendas”Aharon Varady. “An Interview with Aharon Varady on Open Source Judaism.” The Open Siddur Project. 5 August 2010. Web. 18 April 2014. <http://opensiddur.org/development/press/radio-613-an-interview- with-aharon-varady-on-open-source-judaism/>. Varady’s discourse and communal framing are justification for the Open Siddur Project. Through digital media and open licensing it frees individuals and communities to be creative and collaborative in their religiosity and acts as a counter to the appropriation of religious meaning and interpretation into other spheres or to selfish authorities who take the power of creativity away from the collective and control it in their own hands and for their own mercenary ends. As our use of religious apps places control of religious interpretation and ritual performance increasingly in the hands of individuals, it also suggests a fluidity, hybridity, bricolage, and flow that gesture against traditional notions of fixed religious authority. The questions raised about authenticity by our use of religious apps also gesture toward a renewed sense of ownership and awareness of who we are and what we choose to believe, and thus presage a new kind of individualized, personalized authenticity of religious experience.Rachel Wagner. “You are what you install: Religious authenticity and identity in mobile apps.” Digital Religion: Understanding Religious Practice in New Media Worlds. Ed. Heidi A. Campbell. Oxon: Routledge, 2013. 199-206, p.199. Print. Technology is bringing religious interpretation and control over rituals and ritual objects into the hands of individuals away from the control of authorities and the reliance of amateurs on experts to guide their religious lives. The Open Siddur Project as a religious app is placing the control of the construction of the siddur in the hands of individual Jews no matter their level of expertise. The software of the Open Siddur project allows for the fluid and hybrid construction of individualized prayer books outside the bailiwick of Jewish institutions, denominations and rabbinic authorities that have had a monopoly on the production of siddurs. It is countering any self-serving agendas of reified authoritarian structures that can be found in Jewish denominations and rabbinic institutions and keeping Jewish religiosity vibrant. Exalted are you Lincoln. Who is like you! You were highly respected among Kings and Princes. All that you accomplished you did with a humble spirit. You are singular and cannot be compared to anyone else. Who among the great are like Lincoln? Who can be praised like you? This prayer takes the liberty of creatively infusing standard liturgical features of God’s greatness with appreciation for Lincoln’s governmental accomplishments. Rather than religion competing with governments, Goldstein is incorporating government and one of its most historic leaders within Jewish liturgical structures. In this way the author, as a novelist, is preserving the creativity and culture that is part of religion instead of ceding it to other realms and keeping religion alive, healthy and liberated from self-serving agendas. May the next Thanksgivukkah be a time of health and abundance for all of you who will receive the world from our hands. May we together find a way to make sure that there is health and wealth and beauty not just for our family, not just for the Jewish people and humanity, but for all living creatures who share this planet with us. May the One bless us with the power and wisdom to birth a society that shows love to the world around us, that lives with love towards all beings.David Seidenberg. “Thanksgivukah.” The Open Siddur Project. 25 November 2013. <http://opensiddur.org/thanksgiving-days/%E1%B8%A5anukah/prayer-for-thanksgivukah-by-rabbi-david-seidenberg-neohasid-org/>. Web 20 April 2014. Instead of competing with the secular holiday of Thanksgiving, through this prayer, Rabbi Seidenberg uses his creativity to produce liturgy that shapes Jewish individual and communal consciousness to extend to all people and to all creatures. By openly sharing his creative use of liturgy he becomes an agent in defining reality and meaning in contemporary society. The free-culture and open source software that is shaping this technology is allowing for prayers from experts like Seidenberg and amateurs like Goldstein to be used side by side, supporting post-denominational and post-rabbinic functions. By shaping the Internet to support these theological functions, the Open Siddur Project allows authorities to interpret religious experience, but amateurs as well, mixing and matching prayers for their own personal liturgy. Additionally, within the Open Siddur Project, Jewish theology and liturgy are not localized in a building or denomination or even a time period. Their software is helping Jews link up to do meaningful and inspiring liturgical work across cultures, expertises, geographic regions and time periods. The founders of the Open Siddur Project and the volunteers who are creating and shaping the software to make it work are akin to caring and inspiring leaders in a post-denominational and post-rabbinic sense. They are helping and inspiring Jews to create meaningful experiences for themselves by crafting their own siddurs instead of being given a preset liturgy from on high. These types of leaders are helping to bring ‘the Word’ into every Jewish hut and hovel, empowering amateurs and experts alike to interpret liturgical writing without having to rely on institutions or religious authorities. pecking: a less linear sequencing of passages readJames J. Sosnoski. “Hyper-Readers and Their Reading Engines.” In Passions, Politics, and 21st Century Technologies. Ed. Gail E. Hawisher and Cynthia L. Selfe. Urbana, Illinois: Utah State University Press, 1999. 161 – 177. p. 2. Print. Many anti-technologists view this new mode of reading as a loss of meaning, coherence and authorship. By contrast, Sosnoski states, “I am concerned with the ways in which hyper-readers can ‘dismantle the technology of the print book.’ I subscribe to the notion that we live in a postmodern era and that we cannot operate on the conventions that governed the reading practices of previous generations.”ibid, 3. Part of how hyper-readers dismantle the technology of the print book is by becoming de facto writers. The practice of hyper-reading is almost the same as hyper-writing since hyper-readers “tend to assemble the texts they read.”ibid, 7. They are comparable to textual burglars who “break into electronic texts and once they have found the source codes hidden from sight, steal them away with their cut & paste tools and reassemble them (minus the serial numbers so to speak) in their own home pages.”ibid. This is perhaps the first attempt to present for publication a polychrome historical prayerbook. The author herewith presents a random selection of prayers in colors merely as examples to show the various levels of historical development […] The marginal symbols, also in color, indicate the period when certain prayers or phrases were first formulated and/or introduced into the prayerbook. The references are not to be considered exhaustive. Jacob Freedman. Polychrome Historical Haggadah for Passover. Springfield: Jacob Freedman Liturgy Research Foundation, 1974. Print. quoted by The Open Siddur Project. “Project History.” Web. 1 April 2014. <http://opensiddur.org/development/history/>. Previous to Freedman, the seams of the haggadah and the siddur were invisible to almost all amateurs and to many experts as well. Yet he brought the seams to the fore through color-coding. In the digital context Sosnoski characterizes this type of reading practice as “de-authorizing,” As seen through Freedman’s color-coded liturgy, hyper- writing in the sense of splicing bits and pieces of text together, at least in the Jewish liturgical context, is nothing new. However, digital media allows for new religious and theological reading practices alongside hyper-writing. In a de-authorized reading practice ownership of texts as intellectual property is often ignored and texts are seen as public property. Moreover hyper-readers go one step further. They ignore any authorial intentions as to the sequence of a text. As hyper-readers/writers their own intentions are the guiding force behind how a text should be read or written.”Sosnoski, p.8. Digital practices that de-author texts grant new theological approaches to texts such as siddurs. ‘Next’ Jews proactively create the theology of their liturgy becoming part of a dynamic evolution of the text. This dynamic reflects another characteristic of hyper-reading according to Sosnoski. fragmenting. Hyper- readers often prefer fragmented texts to long linear texts and arrange new texts according to associative patterns rather than conventional structures and genres. “In other words, many hyper-readers may be more comfortable selecting textual details and reassembling them in their own virtual frameworks than using the frameworks imposed upon them.”Sosnoski 8. The Creative Commons Attribution (CC BY) and Attribution-ShareAlike (CC BY-SA) require that derivative works state that they are modified and that there is no implication that any of the contributors endorse the modified work. (Additionally, the license preserves the chain of attribution by requiring all derivative works to be shared with that same license.) If you want to share your work but remain concerned about how your work might be modified, you may also choose to contribute the work anonymously or pseudonymously. Within the Open Siddur web application we are developing, your work will only be editable by individuals or groups you have permitted.The Open Siddur Project. “Frequently Asked Questions.” Web. 1 April 2014. <http://opensiddur.org/development/faq/>. This engagement is also continual, ever-evolving and, though personal, also connects the individual to the broader Jewish learning community. In other words, every text is accompanied by a threaded discussion and more Jews are taking part, be it through creating their own religious texts or adding their voice to the emerging “Spoken Torah” of the Jewish blogosphere. Though Jewish community was historically maintained by the work of elites, be they the priests, soferim, or rabbis, the Next Jew no longer relies on scholars sequestered in yeshivas to carry the weight of the tradition. All one needs today is commitment and a stable Wi-Fi connection.Mendelsohn-Aviv, p.181. Individuals who commit to the broader learning community of the Open Siddur Project and have a WiFi connection are benefiting from the post-denominational and post-rabbinic theological functions enabled through this form of digital Judaism. They get to creatively bring their hyper-reading and writing practices to Jewish liturgy proactively and dynamically producing new theologies. They are adding their voice and their interpretation of Torah through threaded discussions and collaborations in the blogosphere. The work of these amateurs and experts is a new form of collaboration within Jewish tradition. The work rests in the digital sphere instead of in elite institutions like brick and mortar yeshivas or denominations. The digital Judaism of the Open Siddur Project is augmenting Jewish experiences and the holiness of Jewish liturgical texts, keeping siddurs as precious and evolving artifacts and cultivating the culture of the ‘Word’ for generations to come. 1. N. Katherin N. Hayles. Electronic Literature: New Horizons for the Literary. Notre Dame: The University of Notre Dame Press, 2008. p. 2. Print. 2. Yoel Cohen. “Jewish cyber-theology.” Communication Research Trends 31.1 (2012): 4–14, p.10. Print. 3. 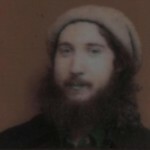 Aharon Varady. “Welcome to the Open Siddur Project.” The Open Siddur Project. 11 April 2011. Web. 1 April 2014. <http://opensiddur.org/development/open-siddur/welcome-to-the-open-siddur-project/. 4. N. Katherine Hayles. How We Think: Digital Media and Contemporary Technogenesis. Chicago: The University of Chicago Press, 2012. p. 36. Print. 6. Aharon Varady quoted by Alan Jacobs. “The Potential and Promise of Open-Source Judaism.” The Atlantic. 12 June 2012. Web. 18 April 2014. <http://www.theatlantic.com/ technology/archive/2012/06/the-potential-and-promise-of-open-source-judaism/258394/>. 8. Aharon Varady. “An Interview with Aharon Varady on Open Source Judaism.” The Open Siddur Project. 5 August 2010. Web. 18 April 2014. <http://opensiddur.org/development/press/radio-613-an-interview- with-aharon-varady-on-open-source-judaism/>. 9. David Piff and Margit Warburg. “Seeking for truth: Plausibility alignment on a Baha’I email list.” Religion and Cyberspace. Ed. Morten T. Hojsgaard and Margit Warburg. New York: Routledge, 2005. 86-101. p. 87. Print. 10. Rachel Wagner. “You are what you install: Religious authenticity and identity in mobile apps.” Digital Religion: Understanding Religious Practice in New Media Worlds. Ed. Heidi A. Campbell. Oxon: Routledge, 2013. 199-206, p.199. Print. 11. Isaac Goldstein. “Memorial Prayer for Abraham Lincoln.” republished by The Open Siddur Project. 11 February 2012. Web. 20 April 2014. <http://opensiddur.org/life-cycle/death/memorial-prayer-for-abraham-lincoln-by-isaac-goldstein-the-levi/>. 12. David Seidenberg. “Thanksgivukah.” The Open Siddur Project. 25 November 2013. <http://opensiddur.org/thanksgiving-days/%E1%B8%A5anukah/prayer-for-thanksgivukah-by-rabbi-david-seidenberg-neohasid-org/>. Web 20 April 2014. 14. James J. Sosnoski. “Hyper-Readers and Their Reading Engines.” In Passions, Politics, and 21st Century Technologies. Ed. Gail E. Hawisher and Cynthia L. Selfe. Urbana, Illinois: Utah State University Press, 1999. 161 – 177. p. 2. Print. 18. Jacob Freedman. Polychrome Historical Haggadah for Passover. Springfield: Jacob Freedman Liturgy Research Foundation, 1974. Print. quoted by The Open Siddur Project. “Project History.” Web. 1 April 2014. <http://opensiddur.org/development/history/>. 22. The Open Siddur Project. “Frequently Asked Questions.” Web. 1 April 2014. <http://opensiddur.org/development/faq/>. “A Case Study on the Open Siddur Project by Gabrielle Girau Pieck (University of Basel, 2014)” is shared by Gabrielle Girau Pieck with a Creative Commons Attribution-ShareAlike 4.0 International copyleft license. Born in 1967 in Omaha, Nebraska, Gabrielle Girau Pieck lives with her husband and two young sons in Basel, Switzerland, working as a freelance theologian in the fields of Liberal Judaism and Interfaith Dialogue while teaching mathematics and English. She studied Yiddish literature from a feminist perspective at the Hebrew University in Jerusalem and the Jewish Theological Seminary of America in New York and holds a Masters degree in Jewish Studies at Emory University in Atlanta, Georgia. Please reciprocate for any adaptation or redistribution of this work by (1) properly attributing the work to Gabrielle Girau Pieck, (2) clearly indicating the date you accessed the resource and whether any changes have been made (and if so, please be in touch with us and leave a comment below so that we might note your adaptation or improvement), (3) providing a link back to this source, and (4) specifying the Creative Commons Attribution-ShareAlike (CC BY-SA) 4.0 International copyleft license under which this work was shared. 2015-03-15 – 24 Adar 5775 at 1:16 pm · Reply. I finished reading your thesis over Shabbat. My initial reaction was a certain amount of relief. Your critique in these five case studies was sharp and insightful. Of the five initiatives in this rogues gallery, I think our project came across as fairly coherent and interesting! I’ve been somewhat familiar with the other four projects, the exception being Jewrotica. It was interesting seeing the Open Siddur Project written about in a context that included these other initiatives. I think you’re correct that the radical nature of all of these projects is in how they engage structures of communal authority, each in their own way. For this reason I deeply appreciated the effort you made in reading through so much of what I’ve written, since I feel that in explaining the project I often don’t discuss this aspect directly, although it is dear to my heart. Through your readings you were able to pick out some choice quotes that correctly express my concerns. You had a knack for seeing some of the major ideas hidden within some complex and technical language. For example, in the section concerning how copyrighted work is shared and adaptable through Creative Commons attribution (CC BY) and attribution-ShareAlike (CC BY-SA) licensing I had written, “The Open Siddur project regulated the modification of works….Within the Open Siddur web application we are developing, your work will only be editable by individuals or groups you have permitted” (82-3). When I read this, I took a deep breath. From our perspective, the Open Siddur Project absolutely does not regulate the modification of works. The adoption by a composer of a work of one of the three Open Content licenses (CC0, CC BY, CC BY-SA) is what permits the Open Siddur to make available these works in the first place. Regardless, your major point concerning de-authorizing practices I believe is ultimately correct! The main thing is that whatever freedom is granted to the individual (on the basis that their personal integrity must be respected), this freedom is only permitted to the extent that attribution to the creativity of all works in the database of liturgy and liturgy-related works is maintained. Attribution (yikhus) is the only claim to authority and authenticity that the Open Siddur Project makes. It’s also the single aspect that distinguishes our project from so many other online Torah databases. My answer to the problem posed by authority and authenticity is to begin with an archive containing authoritative digital editions of creative and historical works now in the Public Domain, and to preserve the authority of any archived work through a highly technological intervention — the encoding of all texts with XML including metadata indicating provenance, credit, and attribution back to some initial document witness. Several insights of yours took me by surprise. 1) You write, “To stay competitive in this fierce environment of clashing meaning making structures, the Open Siddur Project offers to conjoin creativity with religiosity anew” (top of page 77). I think this assumes that the Open Siddur Project existence was in some way motivated by outside forces and in competition in a fierce environment of meaning making structures. Rather, the project has always been very inward looking. On the whole, I felt (and still feel) that there is a dearth of educational technologies that support meaning making and which can bridge the individual and the communal, the novice and the expert. The name of the project is the Open Siddur Project (capitalized). I am the founder of the project (see this post from 2002 ). Efraim Feinstein is my long time partner in the project — he directs the development of the web application we’re developing. I’m not sure you’ve seen it, but I’ve also written this article on wikipedia on Open Source Judaism. I hope this article will provide some valuable context to this movement which I see our project as an expression of. In reading through the case study of Punk Torah, I noticed that you began to call Patrick Aleph, Rabbi Aleph. Since the authority of the rabbi in post-rabbinic expressions of Judaism online is a major concern of your thesis, I was surprised that the authority of his ordination was never described. (Perhaps I missed this?) I believe he sought his ordination through RSI, same as Steven Blane. Please correct me on this detail though, if I’m mistaken. Also, I was very interested to learn of this example setting the use of bred mules as a precedent for Israelites using technology they were forbidden themselves from owning or innovating with (page 45). I want to think more on this. I had a very difficult time following this metaphor for how it relates to Punk Torah. The metaphor feels like it could be very useful though. In general, I’m interested in how Jewish culture engages technology — for example, it’s very profound to me that I haven’t found any resistance to the introduction of the public clock in halakhic discourse during the Renaissance — it’s almost as if there are certain technologies that halakhic concerns have made desirable and this orientation seems to me a technocratic expression in rabbinic Judaism. Very interesting, and I’ve yet to see anyone pull together any of the threads in a comprehensive thesis.